The language menu for the applications allows you to translate the ScriptCases default messages, and also create custom messages to be used in different parts of the applications. Using the messages menu, it’s possible to select and edit messages. The messages are divided in the categories: “ScriptCase Messages” and “Project Messages”. New categories can be created using the item “New Folder”. 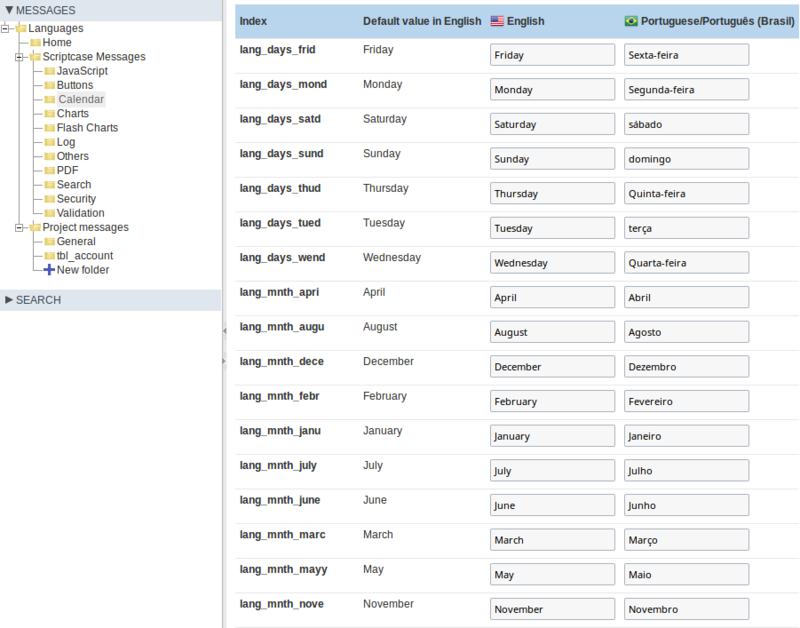 Selecting a lang to be modified, a new page will appear with the columns of each language of your project. You’ll inform the value of the message in each language.